The Verizon iPhone is the latest mobile phone device this company has put out into the market. The iPhone was originally created by the company Apple and features the latest advancements in technology. This phone has plenty of features which are a major reason consumers are switching from old mobile phones to the new Verizon iPhone. A few of the features this phone has are internet capabilities that other mobile phones do not have. For example, one can store his or her iTunes library of music onto an iPhone. In addition, one can access the internet anywhere from a Verizon iPhone. If one wants to check e-mail, send an e-mail, or simply look up a website, then he or she can do that through the Verizon iPhone. 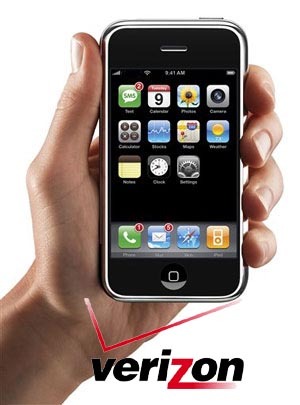 The Verizon iPhone has a touch screen, which makes it very easy to text and send emails. The touch screen is sensitive and has been custom-designed by engineers to make texting easy and fun. One can even program settings so that the phone automatically picks up on certain words one is trying to type and finish typing them for the person. Another popular feature of the Verizon iPhone is the ability to speak face-to-face with someone using the Facetime application. Facetime allows a person to speak to someone else and see all of their facial expressions. It acts just like a video camera. One may also take pictures using the camera capability on an iPhone. Switching from the use of Facetime to the use of the camera is also very easy. One simply has to turn an iPhone sideways in order to switch the programs that one is using. The Verizon iPhone also has the ability to store many applications. Applications are software programs that consumers can download and use on an iPhone. There are thousands of applications that exist for the iPhone. One can purchase applications that can be used for exercise or even for comparing prices of products at stores everywhere. Other applications allow a person to find routes and maps for traveling purposes. One can find applications that do virtually anything a consumer wants. One last function of the Verizon iPhone that is incredibly popular is the GPS function. This function allows the iPhone to literally be used as a GPS, so that one can look up routes. Overall, the Verizon iPhone is an incredible phone with multiple capabilities and functions.